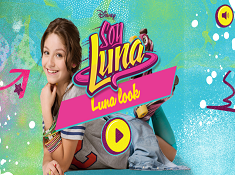 Soy Luna Roller Pop is a new connection game appeared on our site in which you have in foreground Luna, our heroine from the Disney Channel new series Soy Luna. In this game in every level you have to earn a certain number of points before the time runs out to move on to the next level. In the left side of the screen you can see how many points you have to earn to complete your goal successfully. 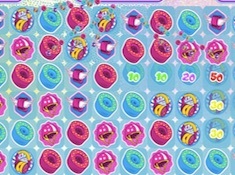 In this game if the time is over and you have not earned all the necessary points you have to start the level from the beginning. 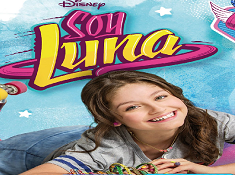 Try harder this time and i am sure you can do better, i am sure you can complete your goal with Luna. You have to use the mouse to connect the similar elements. Try to collect many elements to get a lot of points. The first levels are always easier, to help you get comfortable with the game but you don`t have to hurry to underestimate the difficulty of the game. 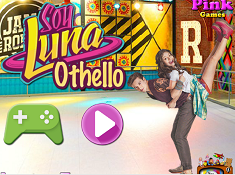 In this game Luna is with you in the right side of the screen and she supports you.